Mosbaek CY flow regulators are designed for capacities from 160 GPM (~10 l/s) up to 9525 GPM (~600 l/s). 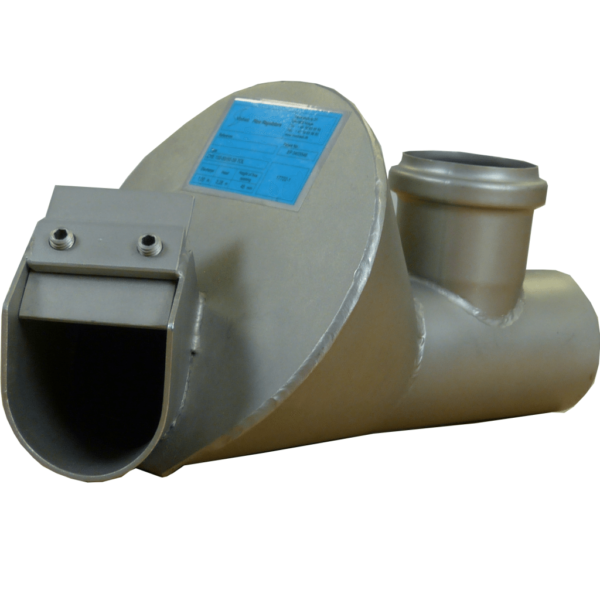 They are made for submerged or semidry/dry installation. 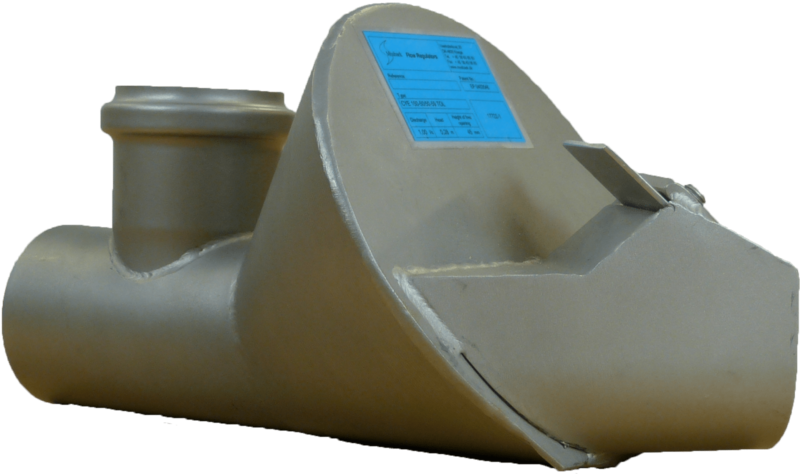 CY flow regulators for submerged installation may be used for all types of discharge water, i.e. storm water, sewage water or mixed storm and sewage water. Available types are CYE, CYO and CYOE. 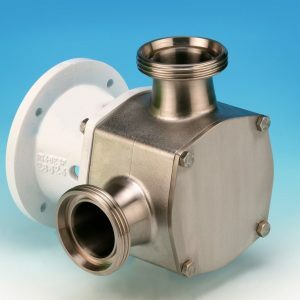 Mosbaek CYE flow regulators have a patented infinitely adjustable inlet orifice plate, which may be adjusted to ±25% of the capacity in mean position. Actually, this regulator is the only of its kind on the market, whose capacity may be adjusted on site without replacing any components; just loosen two screws with a hexagon socket head wrench and adjust the orifice plate. A new type CY flow regulator, designated CYO, has a recently developed safety overflow in the inlet tube (patent pending). The design of the inlet results in an intensified contraction of the inlet jet and, consequently, an increased braking effect. 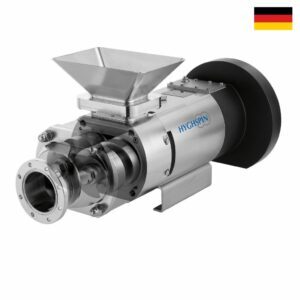 Therefore the CYO model has a mean orifice opening, which is 10-15% larger than that of the conventional Mosbaek CYE flow regulator and even larger compared with certain imitations. The result is a considerable improvement of the reliability. 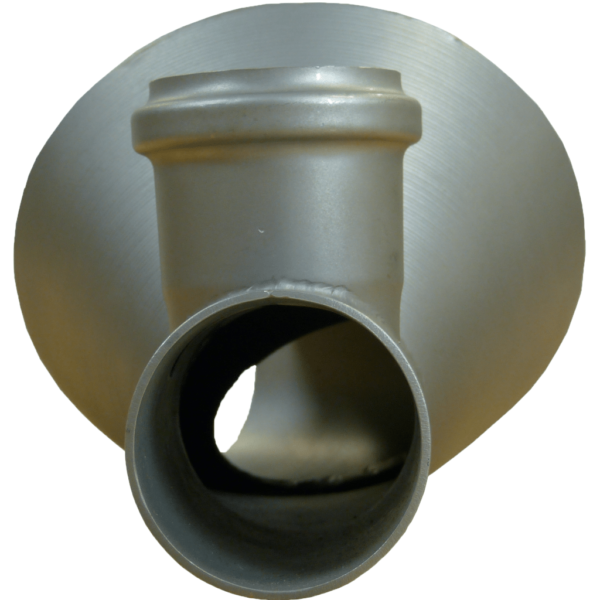 However, the most important advantage is that, even if the larger orifice opening is blocked by an object, the overflow will continue to work and discharge to the relatively low level corresponding to the upper edge of the inlet tube. This active by-pass is the most important conquest within this field for many years. In general, the CY flow regulators ensure that the flow, Q, is almost constantly equal to the nominal capacity, Qdim, over a large interval of upstream heads. The capacity, Qdim, may be obtained at the top of the “bump” of the characteristics as well as in the design point. This is illustrated on the characteristic curve of the CY flow regulator. 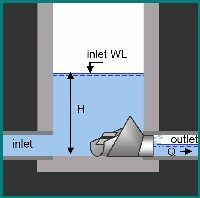 The inlet orifice plate is inclined in relation to the flow direction, which results in a strong contraction of the inlet jet and, consequently, a considerable increase of the braking effect. Thus, a larger orifice opening is obtained. 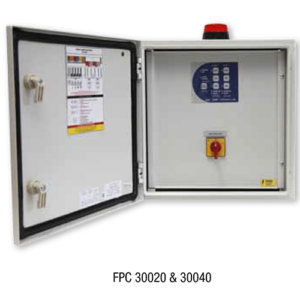 The CY flow regulators are designed for embedment. As the cast banquettes are sloping from all sides towards the bottom race, the build-up of deposits will be minimised as the water is led to the regulator. Also, it is easy to clean the structure by flushing it from the top before descending. Thus, inspection, service and change of capacity may be carried out under the most hygienic conditions. The CY flow regulators may often be installed in existing or planned wells or tanks, as it does not take up much space. These features contribute to low construction, operating and maintenance costs. This type of regulator may be used in many other situations. 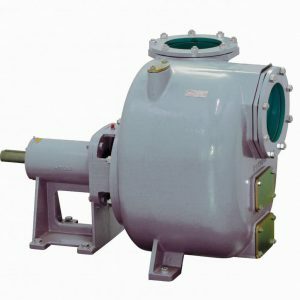 Contact Pump & Valve for more information.